This claim, of course, warranted full investigation. 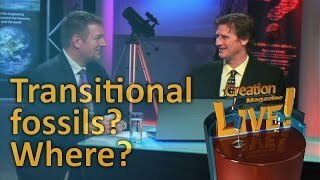 If verified, a series of fossils illustrating the transition between major types of organisms could prove to be a serious embarrassment to those who take God at His Word when He says He created separately the different types of creatures to reproduce only ‘after their kind’ (Genesis 1:21, 24, 25). Because God’s Word is true from the beginning (Psalm 119:160), I didn’t expect to find any proof for this claim. Besides, if this claim were true, then surely the evolutionist scientific community would be trumpeting the display of these fossils in every major museum and university, accompanied by bold headlines in major newspapers and popular scientific journals. Of course, neither I nor others have seen such. I checked in the major Australian museum that employs this palaeontologist. Surely, if his claims were true, he would have featured this fossil series supposedly illustrating this major transition from fish to amphibians in his own museum. Now in this museum there is a gallery on fossils and the geological record. 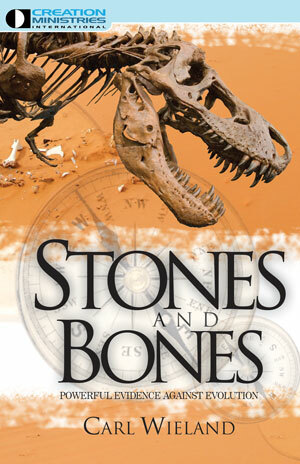 Moreover, there is also a special exhibit entitled ‘Tracks Through Time—The Story of Human Evolution’, which features a section on fossils, including the transition from fish to amphibians. This special exhibition was launched in 1988 after being prepared under the direction of this palaeontologist. Five years later it is still on display in the museum, unchanged. Side-by-side are the rhipidistian fish Eusthenopteron and the amphibian Ichthyostega, the latter fossil having been found in the ‘Upper Devonian’ strata of East Greenland. These fossils (Figure 1) supposedly illustrate how fish evolved into amphibians. However, they fail to show how fins changed into legs. Missing is the claimed ‘beautiful’ fossil record found in Greenland which supposedly better illustrates this transition from fish to amphibians. (a) the rhipidistian fish Eusthenopteron. (b) The skeleton of the labyrinthodont amphibian Ichthyostega. Both originals were about one meter long. (After Carroll.3) Notice how completely are the fins and legs. Click for larger view. 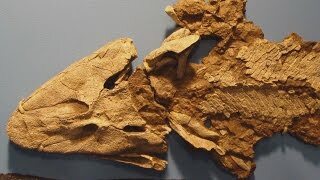 To confirm that this fish Eusthenopteron and amphibian Ichthyostega were not the transitional fossils (or ‘missing links’) claimed to have been found recently, I went to the textbooks on vertebrate palaeontology. Colbert,2 for example, in 1969 also used these fossils to illustrate the supposed transition from water to land. However, his accompanying diagram only illustrated similarities between the jaws and skulls of these fossils, and ignored the all-important claimed transition from fins to legs. A pictorial diorama is then used by Stanley to reinforce this statement. Stanley, who is on the staff of The Johns Hopkins University in Baltimore, USA, cannot be aware of the statement made earlier on this issue of ‘missing links’ by his colleague Dr Colin Patterson, Senior Palaeontologist at the British Museum (Natural History) in London. In 1978 that museum published a book on evolution by Patterson.6 Designed to be a popular book on the subject, it is still being sold in museums, even here in Australia. 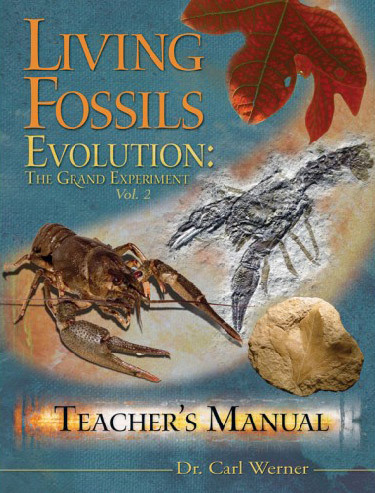 So it is still regarded as an authoritative presentation on evolution, including the fossil record. Yet, even though fossils are mentioned in a number of places in the book, nowhere does Patterson illustrate any ‘missing links’ between major types of organisms, such as between fish and amphibians. Next came a report from palaeontologist Clack and her colleague Coates at Cambridge University on the fossilized limb bones.15 They reported that the forelimb of Acanthostega had eight digits and the hindlimb of Ichthyostega had seven, quite unlike the common pattern of five digits on the feet (or hands) of many amphibians, reptiles, birds and mammals. 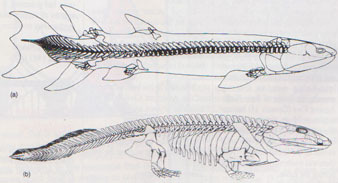 They also described some resemblances of the forelimb skeleton of Acanthostega to the pectoral fin skeleton of Eusthenopteron, the similarities being viewed by the researchers in the context of the evolution of the tetrapod limb bones from the fin-bones of lobe-finned fishes (see Figure 2). To account for this variation in digit numbers (from the general norm of five), Cooke16 suggested that conceivably the evolutionary process in the genetics of limb development in these ‘primitive’ amphibians was ‘not even well enough controlled to assure constancy between different individuals within single species’. He thus concluded that the common five-digit structure of tetrapod limb skeletons (the pentadactyl limb) must have become stabilized in a subsequent lineage, or lineages, to produce the common ancestors of today’s classes of tetrapods. Such a statement is clearly based on the assumption of macroevolution, and not on observational evidence of the bones in fins of fish changing into the limb bones of these amphibians and then other tetrapods. In yet another paper Coates and Clack17 reported the discovery of what they regard as a fish-like gill (branchial) skeleton in Acanthostega, with grooves that they claimed are identical to those found in modern fishes. Thus they concluded that ‘Acanthostega seems to have retained fish-like internal gills … for use in aquatic respiration’.18 This they claimed ‘blurs the traditional distinction between tetrapods and fishes’ because it supposedly implies that the ‘earliest’ tetrapods were not fully land-dwelling (terrestrial). They further claimed that Acanthostega resembled a gill-breathing lungfish and that its legs with digits must have first evolved for use in water rather than for walking on land.19 They didn’t say it outright, but the implication is that they believe, as does the palaeontologist who confronted me with this example, that Acanthostega thus qualifies as a ‘missing link’ (transitional form). (a) Pectoral fin skeleton of Eusthenopteron. (b) Restoration of the forelimb skeleton of Acanthostega. (c) Restoration of the hindlimb skeleton of Ichthyostega. (All are dorsal view, anterior edges to the left, and drawn at a comparative scale only.) (After Coates and Clack.14) Notice that some of the Acanthostega limb bones are remotely similar to the Eusthenopteron fin bones, but the total limb is after the overall bone patter of fellow amphibian Ichthyostega. Notice also the varying digit numbers. Click for larger view. Clearly, in their minds, and the minds of their fellow evolutionary palaeontologists, this mosaic of fish- and tetrapod-like characters, and the presumed mode of life, make Acanthostega a ‘missing link’, even though they describe it as a tetrapod, that is, a four-legged animal. However, Acanthostega was a fully formed and fully functional four-legged amphibian, with four legs and not four fins, in some respects not unlike amphibians such as salamanders and newts. Godfrey23 lists 41 characteristics that are unique to tetrapods. According to Ritchie,24 who has inspected the actual fossils, Acanthostega ‘fails the tetrapod test’ in eight out of these 41 characteristics, with two other characters not found in Acanthostega and another five not known from the fossil material. Thus Acanthostega still has 26 out of these 41 tetrapod characteristics. Ritchie also suggests that there are three other tetrapod characteristics present in Acanthostega not listed by Godfrey, so if these are included, Acanthostega has 29 out of 44 tetrapod characteristics. A 45th character which could be regarded as an unconventional tetrapod feature is the multi-digit, paddle-like limbs. On the other hand, Ritchie lists Acanthostega as having only eight potential ‘fish-like’ or ‘primitive’ characters. However, the fact remains that Acanthostega has been classified as an amphibian (tetrapod) with a mosaic of tetrapod- and fish-like features. Nevertheless, leading evolutionists such as Gould and Eldredge regard mosaics as not qualifying as ‘missing links’. Interestingly, in his 1990 textbook Cowen25 doesn’t mention Acanthostega, even though reports on its claimed intermediate characteristics had appeared in the scientific literature from 1988 onwards. In other words, fossils such as Acanthostega are regarded by some evolutionary palaeontologists as ‘missing links’ not because they are, but because they are believed to be. As Patterson says, it is ‘in the mind’, because ‘missing links’ are a philosophical necessity—to somehow provide ‘proof’ for their evolutionary faith. The fossil record has so far revealed many types of fish, some of which have bones in their fin lobes, serving a useful purpose as in the coelacanth (long believed to be an extinct ancestor of land animals, until it was found alive and well). The fossil record has also revealed many types of amphibians, including Ichthyostega and Acanthostega, in which the limb bones are firmly attached to the backbone and clearly designed for bearing the weight of the body in walking. Anything truly ‘in-between’ these crucial fish and amphibian characters is not only hard to conceive, but has never been found. Armitage, C., 1992. 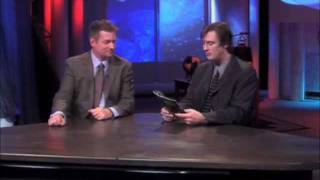 Beetle fires a blast in God versus evolution debate. The Sydney Morning Herald, Saturday, 22 August, p. 4. Return to text. 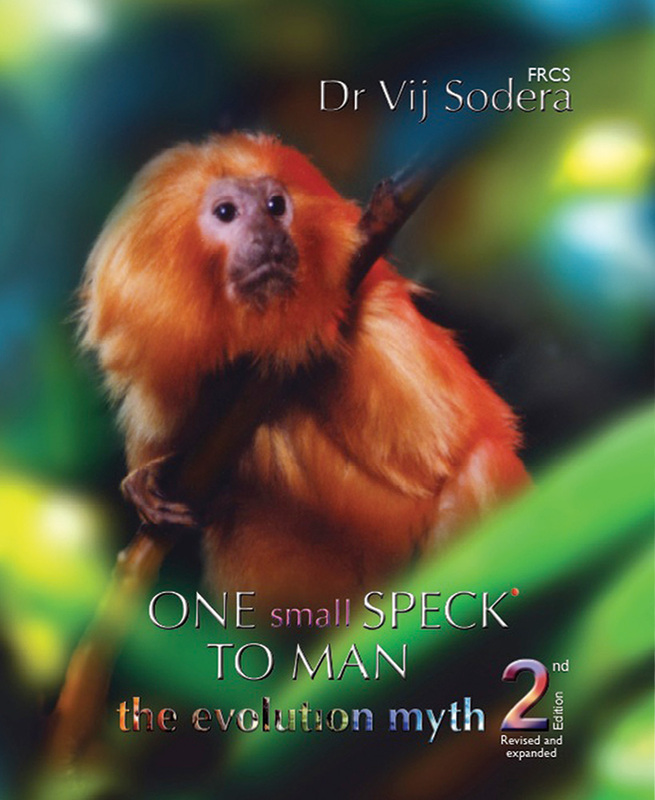 Colbert, E.H., Evolution of the Vertebrates, Second Edition, John Wiley and Sons, Inc., New York, pp. 76–78, 1969. Return to text. Carroll, R.L., Verebrate Paleontology and Evolution, W.H. Freeman and Company, New York, pp. 156–166, 1988. Return to text. Stanley, S.M., Earth and Life Through Time, Second Edition, W.H. Freeman and Company, New York, pp. 362–3671989. Return to text. Stanley, Ref. 4, p. 364. Return to text. Patterson, C., Evolution, British Museum (Natural History), London and University of Queensland Press, Brisbane, 1978. Return to text. Sunderland, L.D., Darwin’s Enigma: Fossils and Other Problems, Master Book Publishers, San Diego (California), p. 89, 1984. Return to text. Panchen, A.L., In search of earliest tetrapods, Nature 333(6175):704, 1988. Return to text. Clack, J.A., Discovery of the earliest-known tetrapod stapes, Nature 342(6248):425–427, 23 November 1989. Return to text. Panchen, A.L., Ears and vertebrate evolution, Nature 342(6248):342–343, 23 November 1989. Return to text. Clack, Ref. 9, p. 427. Return to text. Fritzsch, B., Evolution of tetrapod hearing, Nature 344(6262):116, 8 March 1990. Return to text. Gottfried, M.D. and Foreman, B., Evolution of tetrapod hearing, Nature 344(6262):116, 8 March 1990. Return to text. Clack, J.A., Early tetrapod hearing, Nature 344(6269):823, 26 April 1990. Return to text. Coates, M.I. 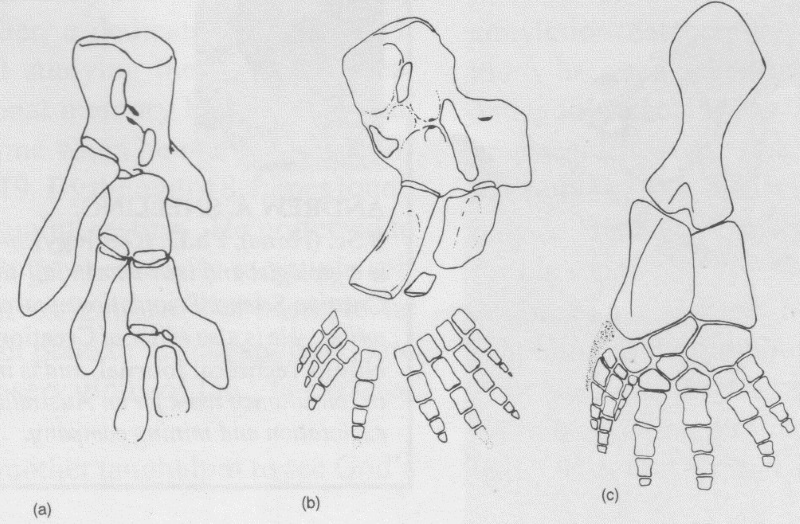 and Clack, J.A., Polydactyly in the earliest known tetrapod limbs, Nature 347(6288):66–69, 6 September 1990. Return to text. Cooke, J., Proper names for early fingers, Nature 347(6288):14–15, 6 September 1990. Return to text. Coates, M.I. and Clack, J.A., Fish-like gills and breathing in the earliest tetrapod, Nature 352(6332):234–236, 18 July 1991. Return to text. Coates and Clack, Ref. 17, p. 234. Return to text. Coates and Clack, Ref. 17, p. 235. Return to text. Clack, J.A. and Coates, M.I., Acanthostega—a fish out of water? In: D. Vezina and M. Arsenault (eds), 7th International Symposium on Studies of Early Vertebrates, Abstracts, p. 12, 1991. Return to text. Clack and Coates, Ref. 20, p. 12. Return to text. Gould, S.J. and Eldredge, N., Punctuated equilibria: the tempo and mode of evolution reconsidered, Paleobiology 3(2):147, 1977.Return to text. Godfrey, S.J., The postcranial skeletal anatomy of the Carboniferous tetrapod Greererpeton burkemorani Romer, 1969, Philos. Trans. R. Soc. 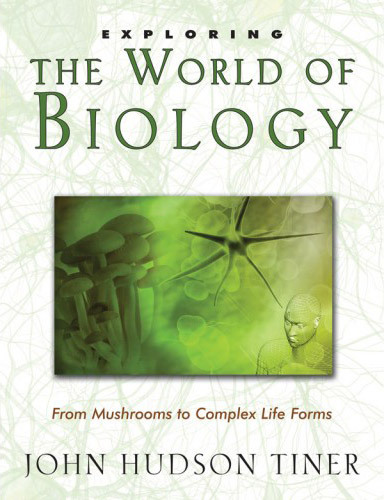 Lond., B, Biol. Sci. 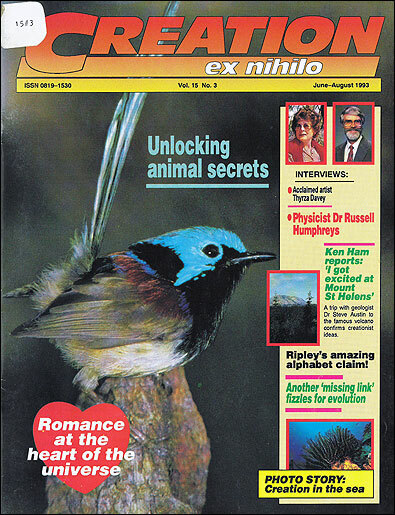 323(1213):127–128, 2 February 1989.Return to text. Ritchie, A., personal communication to W. Armstrong, October 1992. Return to text. Cowen, R., History of Life, Blackwell Scientific Publications, Boston, pp. 145–158, 1990. Return to text. Sunderland, Ref. 7, p. 89. Return to text. Gish, D.T., Evolution: The Fossils Say No!, Creation-Life Publishers, San Diego (California), 1973. Return to text. Wysong, R.L., The Creation-Evolution Controversy, Inquiry Press, Midland (Michigan), 1976. Sunderland, Ref. 7, p. 90. Return to text. 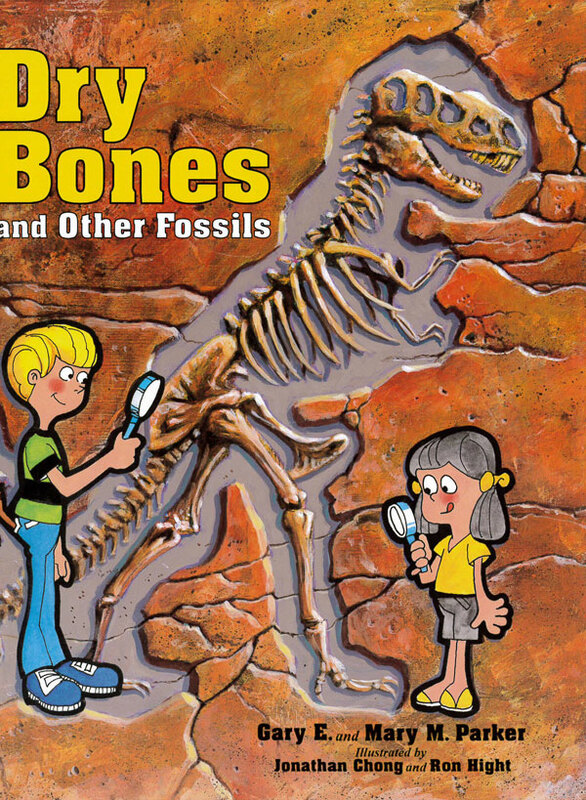 Denton, M., The fossil record. In: Evolution: A Theory in Crisis, Adler and Adler, Publishers, Inc., Bethesda (Maryland), p. 177, 1985. Return to text. Lowenstein, J. and Zihlman, A., The invisible ape, New Scientist 120(1641):57, 1988. Return to text. Shreeve, J., Argument over a woman, Discover 11(8):58, 1990. Return to text.